We’re pleased to finally be able to share this exciting news with the flow arts community! On June 1, two of the biggest names in smart hoops will become one as the SpinFX Phoenix hoop joins the Hyperion family. 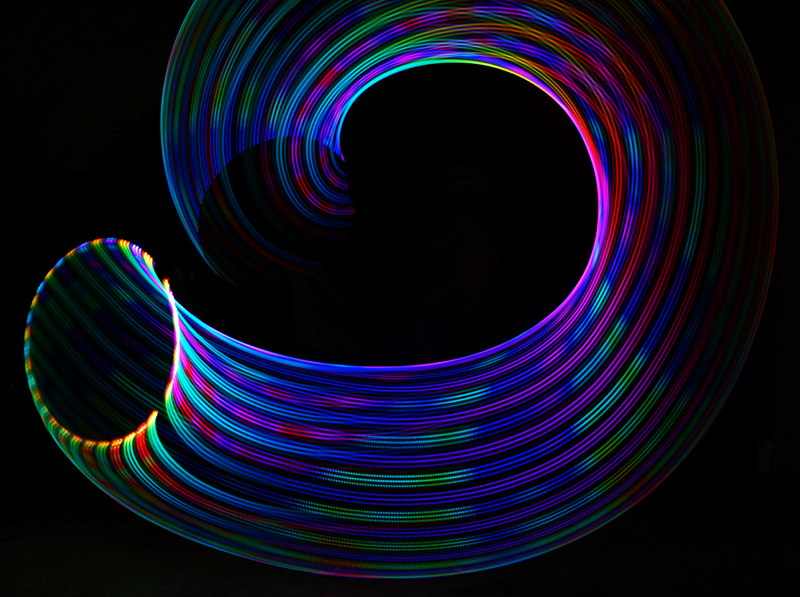 Since 2012, the Phoenix has been the smart hoop of choice for performers seeking perfect balance, long battery life, and zero LED gap in a highly customizable hoop. The Hyperion has pushed the envelope of technical sophistication in smart hoops since 2014 with features like customizable motion-reactive patterns and WiFi networking in a lightweight, removable battery design. Hoopers can now have the best of both worlds. The new Phoenix will be upgraded with Hyperion electronics, giving you all of the Hyperion’s software features – and more than eight times as many patterns as previous Phoenix models – in a beautifully balanced and gapless hoop. Hoopers who want the lightest 3/4″ hoop around and the ability to hoop till they drop without ever stopping to recharge can still choose the removable battery Hyperion. The Hyperion team will be taking over service and support, including warranty repairs, for existing Phoenix hoops by July 1. The Phoenix gurus at SpinFX will be working closely with us to help ensure a smooth transition, and we’re located just a few hours up the California coast from SpinFX’s location so your hoop shipping times should be unaffected by the move. It’s going to be a very busy time for all of us, but I’m very excited about the possibilities. I’d also like to thank all of YOU, the hoopers who make this all possible – we wouldn’t be able to do what we do without your support.